We often stuck to our social media news feeds from morning to night. With the fear of missing out (FoMO), we get distracted by a friend’s tropical holiday snaps on Facebook or find ourselves liking a photo on Instagram of our neighbor's dinner. Businesses are getting in on the act too, by building their audiences and driving sales. For charities and charitable campaigns, social media is a great way to capture people’s attention. An example is James Rudland’s Sleeping Bag Appeal. Thanks to Facebook, it was a huge success and had people sending sleeping bags for the homeless from all around the world. Social media can be used to raise awareness about various issues, from homelessness and racism, to AIDS and environmental concerns. Platforms like Facebook and Twitter allow these messages to not just be heard by people regionally, or even nationally, but globally. World Wide Fund for Nature (WWF) is certainly leading the way in raising awareness, currently with almost 3 million Facebook followers. When the Boston Marathon bombings and Hurricane Sandy happened, social media erupted. People used social media to pull together as a community, to provide help, advice and support. Facebook has now even added a new feature, Safety Check, which allows people in a conflicted area to let friends and family know they are safe. People can find themselves in all kinds of difficulties, such as financial problems, health worries or may even be dealing with loss. Facebook Groups, for example can help open up communication and enable people going through similar situations to talk, regardless of their geography. As well as a place to talk about life’s difficulties, social media can also share the hope. Lisa Lynch, who had terminal cancer, wrote a blog to help herself and family make sense of what she was going through. However, what she didn’t realize was that she was also becoming an inspiration to many others who were facing similar fears. We’re used to seeing people fall out on social media, with a celebrity feud list too long to even remember. However, following a tragedy like the latest Paris attacks, it was moving to see everyone around the world stop and unite. Many people also reacted by changing their profile pictures, out of respect for those who lost their lives and as a sign of solidarity. Whether you’ve lost someone in conflict, in times of tragedy or drifted apart over time, social media can help reunite friends and loved ones (and even pets). Homeless man, Jimmy Francis, shows how it is possible, reconnecting with his daughter after 24 years, with the help of Facebook. There can be a lot of negativity in the world (including online), but social media can also be a great place to go for some positivity, whether you like reading daily quotes, listening to inspirational stories, or even just having a laugh by watching a baby panda sneeze! Whether you work for a charity or are just an individual, passionate about a cause and want to raise money, sites like Facebook and Twitter are a good way to get the word out there about your fundraising activities. As well as donating money, people can help in many other ways. 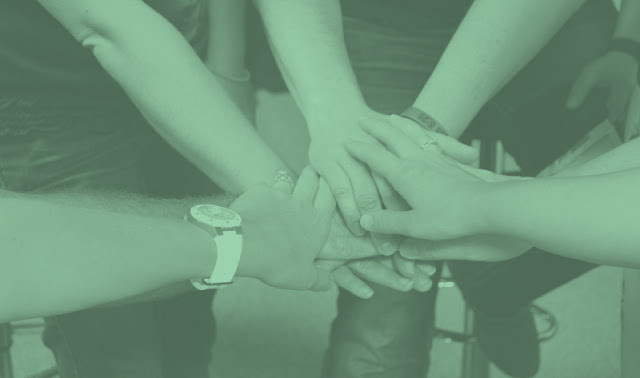 Whether you have a charity event, want people to give their time, share their expertise, or volunteer at a soup kitchen, social media sites can be a good place to go to encourage people to get involved. Sometimes it’s easy to get wrapped up in our own lives that we forget how much we can help others around the world and we can do it using the tools that we use every single day! The incredible thing about social media though is that not only can you make a difference in your local community, you can also make a difference all around the world. 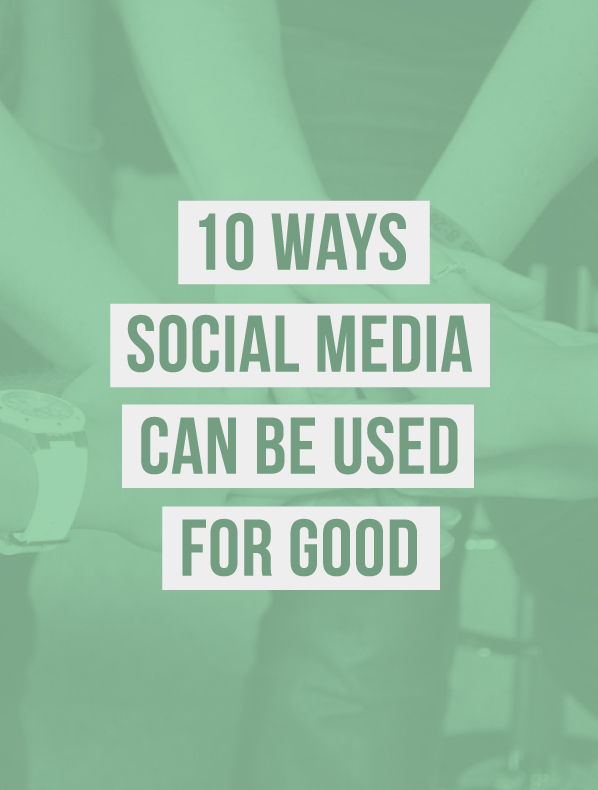 Have you seen any good examples of social media being used for good? We’d love to know. Leave us a comment in the box below. Elizabeth Harmon is a writer for Open Colleges, one of Australia’s leading online education providers. She is a Social Media Consultant with a number of years’ experience in the field. She has worked with a growing list of clients around the world, helping to build successful social media strategies, create effective content and much more. Follow her on Twitter @Liz_Harmon.